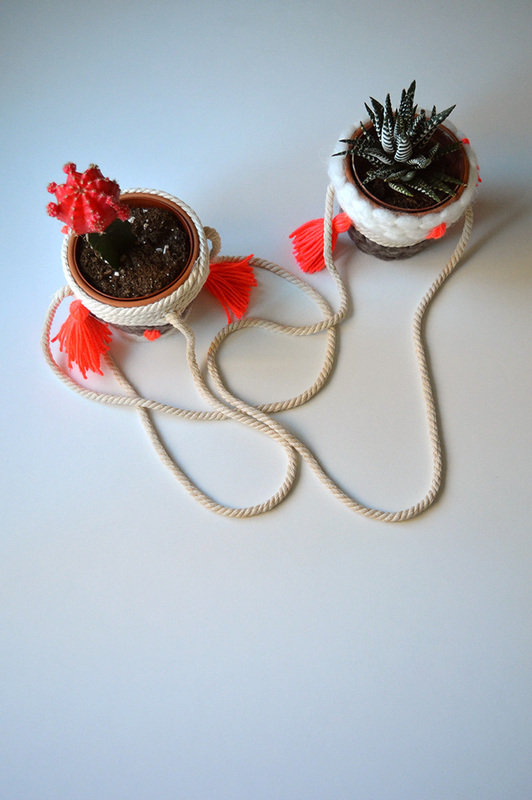 Last fall we posted this project by local Cori Anne of Oh Lovely Bows, a local design student and blogger. 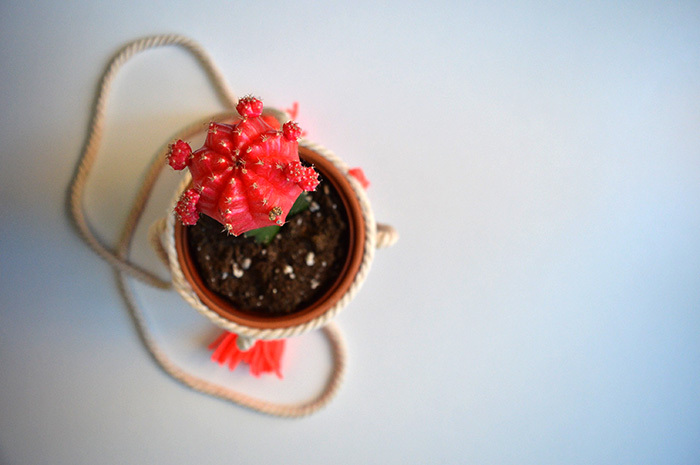 We spotted her project on Instagram and love it just as much today as when we posted it. 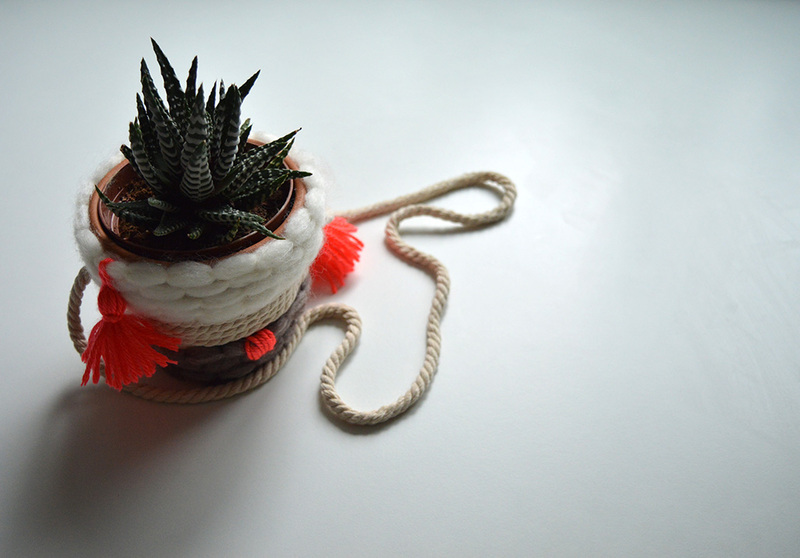 If you missed it, it's a great little project you can do in an afternoon. Easily. 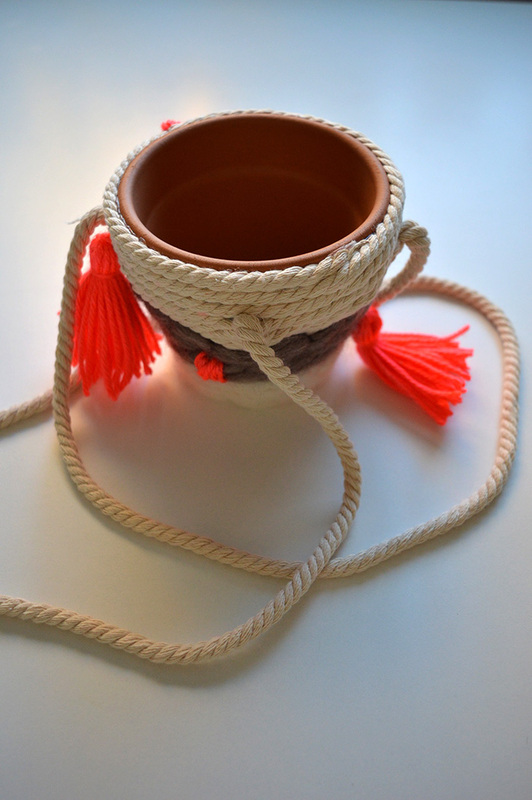 We all know how weaving is all the rage these days. 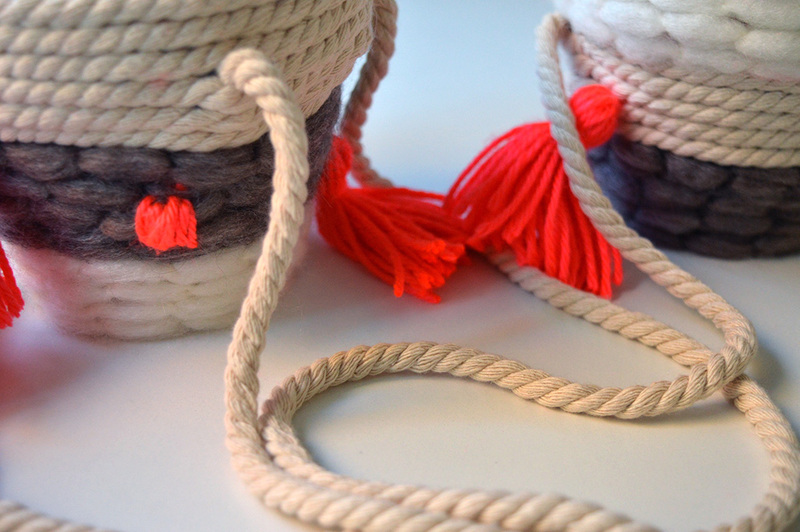 But what if some of us don't know how to weave, or simply don't have time for a big project? Well, that's where this DIY can help us! 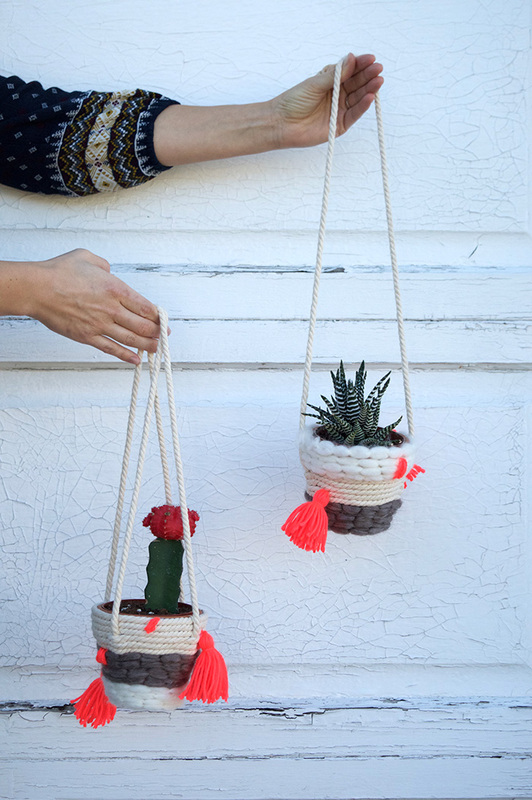 And since most of us like the look of yarn weavings, this seriously easy DIY woven planter is a pretty close second to having a woven piece hanging up in our homes. Let’s get to making! 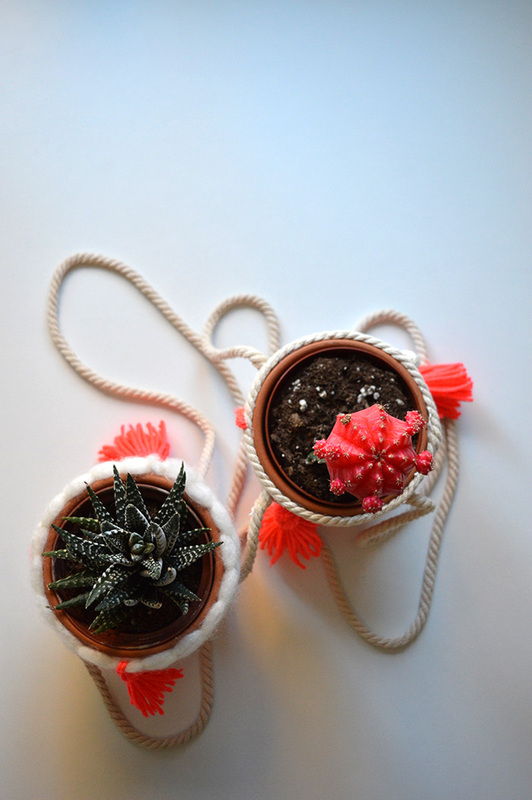 1 – Heat up the glue gun and pick out what kind of pattern you’d like to do. 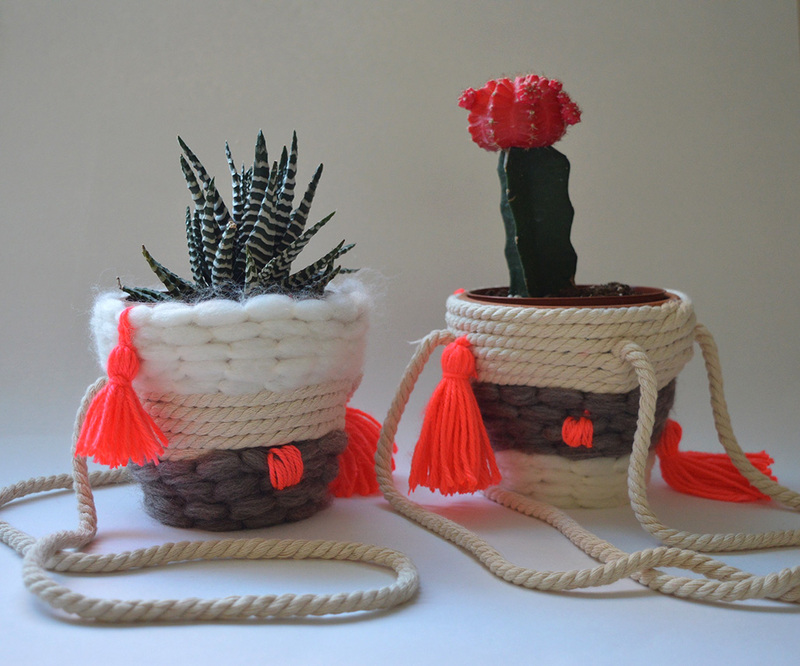 3 – Start glueing your decorative yarn around the pot. You'll want to continually glue all the way around to keep it secure and the rows snug together. 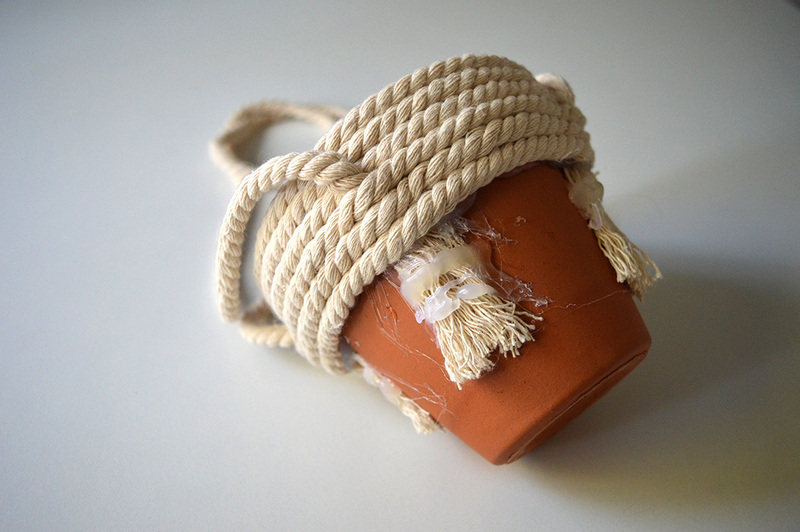 4 – Once you’ve wrapped about a third of the top of the pot with yarn, glue the cording you've cut out for the hanging pieces onto the sides of the pot. 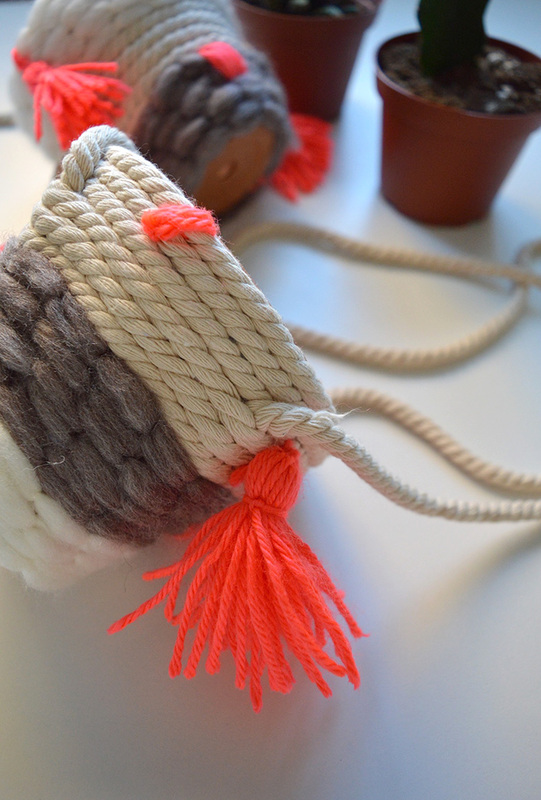 Then continue to wrap the yarn, covering up the hanging cord as you go along. 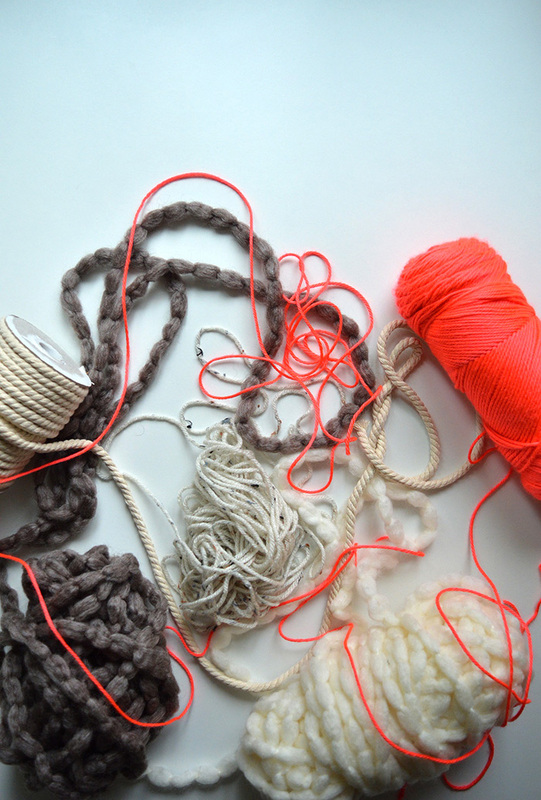 5 – Switch up the colour, the texture of the yarn, the placement, the list goes on. That’s the fun part, you get to make it suit your style! 6 – After the pot has been fully covered, add little details. I added a couple of pom-poms and some simple stitches (this is where the embroidery needle will be used) to make it a bit more quirky. The colour pop is awesome! 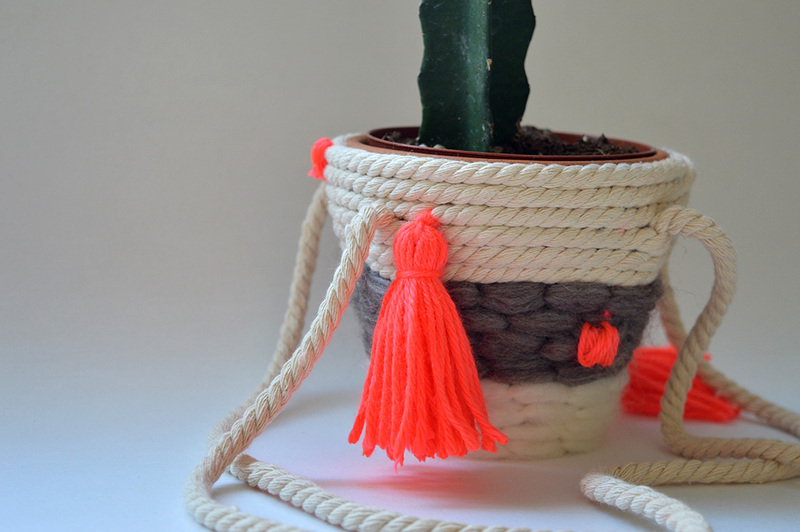 If you have any neon yarn, thread or parachute cord – use it! 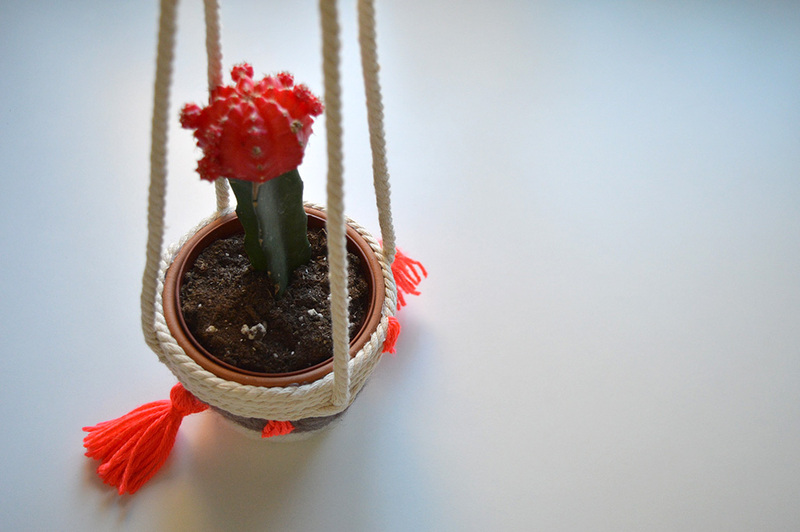 7 - Once it's finished place a plant in it and hang it from your ceiling or wall with an appropriate hook. Done! 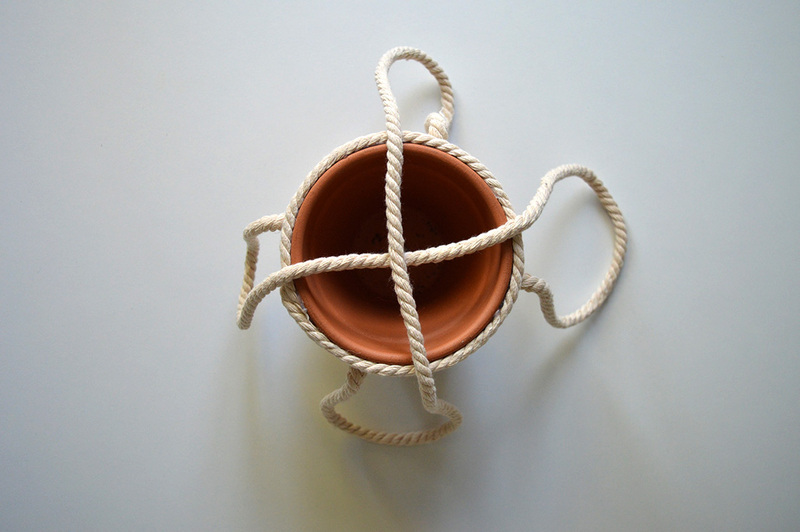 **TIP - The pot that has two strands of cording to hang is much more balanced than the one that has a single strand for hanging. Up to you on which look you like, but I definitely will make any future ones with two strands vs one. 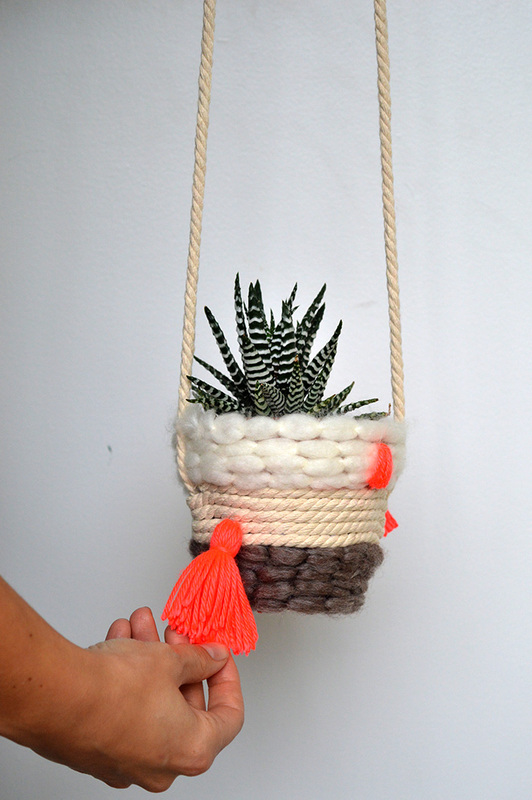 The details of this hanging woven planter are so much fun. 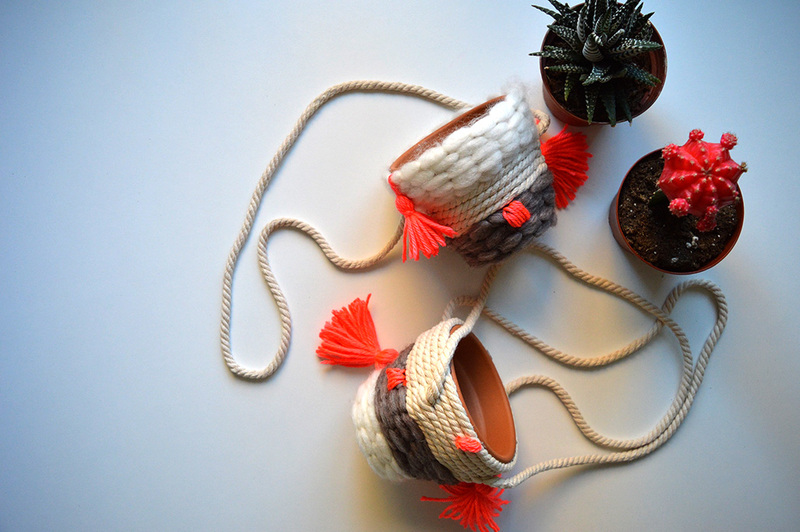 Oh Lovely Bows is a crafty and creative duo based out of Vancouver, BC. Cori Anne and Joyelle love the world of design and are always thinking up ways to inspire and create beautiful things to share on their blog. 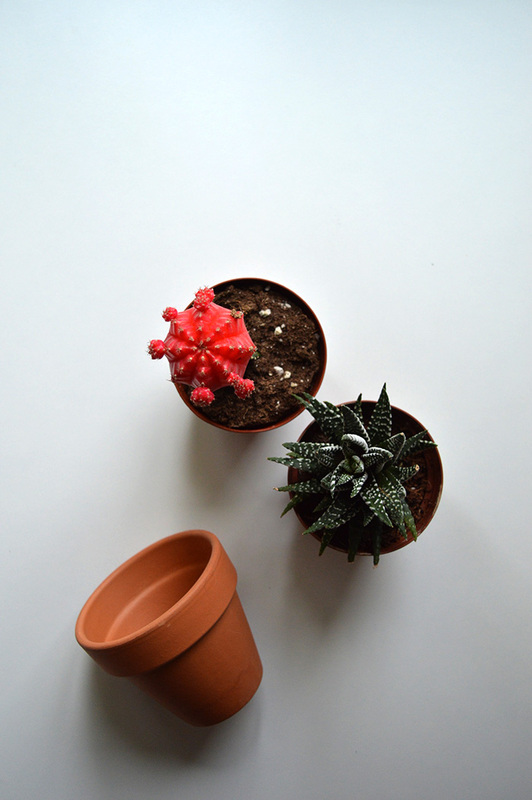 They regularly do DIY projects, recipes as well as a sprinkling of life adventures. 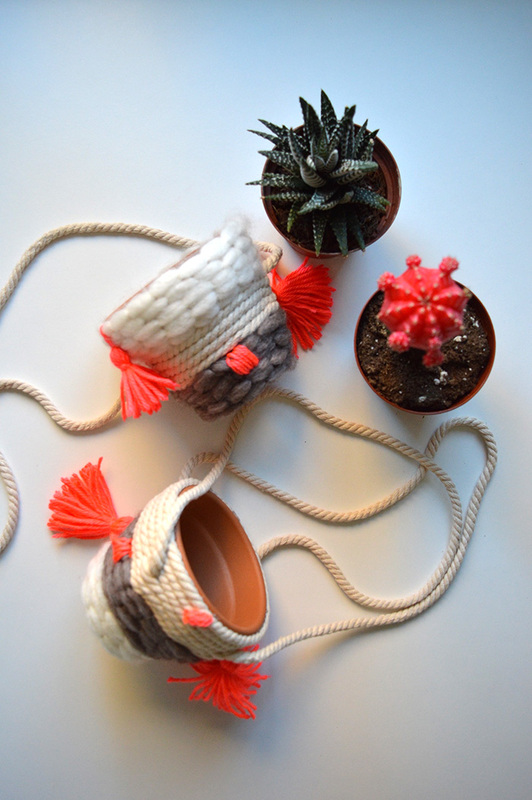 Their favourite project is their Maker of the Month series, where they go and meet creative people from around Vancouver (and anywhere, really) and showcase the makers' skill for all of their readers. 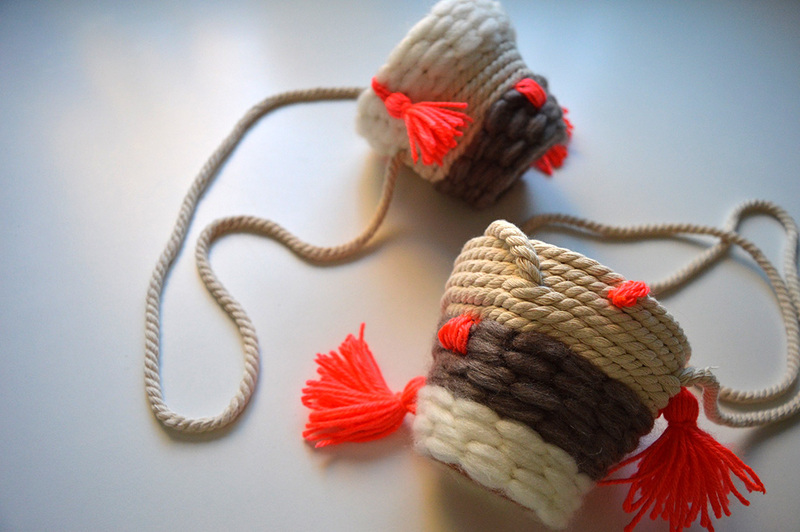 Supporting and engaging in the creative community matters most to Oh Lovely Bows.